The world runs on debt-driven economies. But Wolfgang Schäuble says this could lead to another 2008. Could blockchain tech prevent another crash? 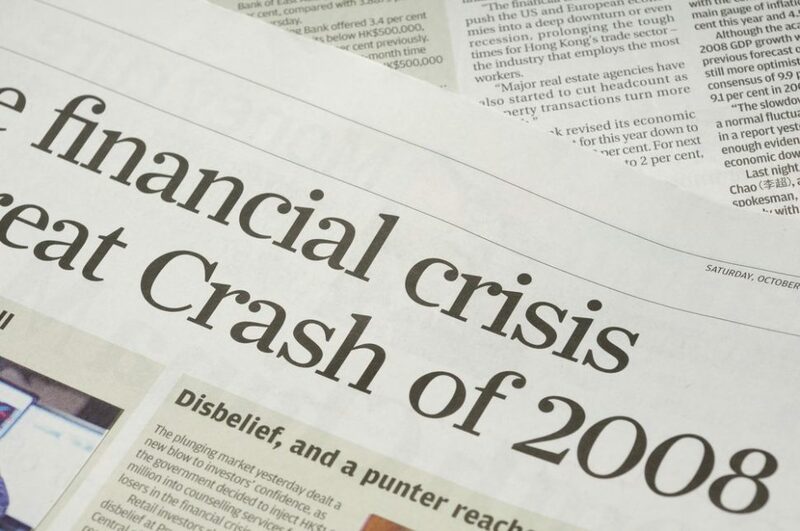 A repeat of the 2008 crash may be more likely than some would have you believe, and it’s all due to debt-driven economies. Wolfgang Schäuble, Germany’s outgoing Finance Minister, says that the appearance of a new financial “bubble” looms heavy. The reasons: increasing liquidity and global debt. How could blockchain technology be a solution to our debt-driven financial crises? Schäuble is both famous and notorious, depending on which side of the aisle you’re on, for his stance against the low-interest rate policies of Europe’s Central Bank (since 2008). His concern over a debt-driven financial crisis isn’t unfounded. The IMF released a report last year about how China’s piling debt could trigger a crisis. Christine Lagarde, managing director of the International Monetary Fund, brought up similar concerns in a Harvard University address. Excessive risk, high debt levels, and things like rapid expansion of credit are all factors. However, identifying the “correct” balance of “fiscal policy, monetary policy, and structural reforms”, as Schäuble puts it, proves difficult. Though referred to as an “architect of austerity”, Schäuble’s concerns regarding how countries prioritize short term over long term gains are valid. The fallout of debt related incidents can require strict restructuring of financial systems. The city of Houston, where Edgy Labs was conceived, had to do such a thing in regard to the police pension. With a deficit of $8.2-billion USD, the city passed a plan to pay back that sum over 30 years, but also cut $2.8-billion in retiree benefits. However, these austere measures nearly halve the projected deficit for next year. With higher interest rates projected as we move into the next fiscal year, finance industry members are spooked. In a debt-driven economy, high interest rates could be catastrophic. But the bigger question is: would austerity be the only way to prevent a huge crisis? Michael Burry Predicted 2008; Is Schäuble Predicting, Too? The keywords in this section are “risks” and “stabilize”. Lenders began taking increased risks as early as 2004. This was a tip-off to Michael Burry that a debt crisis was imminent. Ultimately, the trend exploded into a full-blown financial crisis we know as the 2008 housing bubble. Burry, of the “The Big Short” novel by Michael Lewis and portrayed by Christian Bale in the film, saw 2008 coming. As Vanity Fair reports, Burry noticed that lending standards were not just declining, but bottoming out. The main culprit: “interest-only negative-amortizing adjustable-rate subprime mortgage”. That’s a mouthful. It also exactly what we just described: riskier loans with a revolving door on debt responsibility. So with this retrospective future sight in mind, how can we approach the concerns of Schäuble and others across the world? The answer may lay in a still under-utilized technology: blockchain. One of the easiest ways to work toward a stabilized single currency is transparency. If the entire lending and borrowing process is less, well, mysterious, both parties have increased accountability. It is also more difficult to enact schemes similar to those Burry noticed as early as 2004 which led to the 2008 bubble crash. Blockchain technology increases transparency. The microfinance aspect of blockchain tech and digital currency increases financial inclusion for lower income brackets. It has also been asserted the direct approach blockchain tech offers an opportunity to reduce the “parity paradox” and financial inequalities. It further calls into question the roles of financial intermediaries such as Europe’s Central Bank. Other factors in the impending crash could be healthcare and education. Medical debt and college debt are increasingly common. The rising cost of both higher education and medical attention are direct contributors to the debt-driven economy model. Increasing cost transparency could help medical professionals, students, and the economy at-large. Let’s hope we don’t have to wait for another crash to find out if that’s true. In what ways do you think blockchain and other new financial tech would prevent a financial crisis in the current debt-driven global economy? Battle of the Blockchains: Ethereum or Bitcoin?